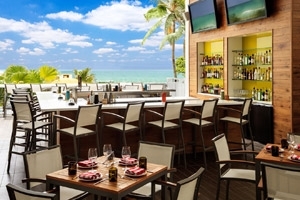 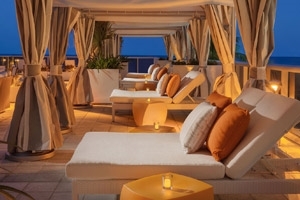 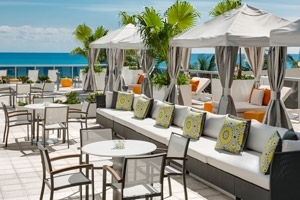 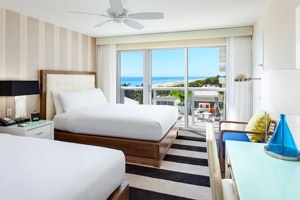 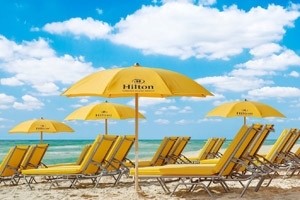 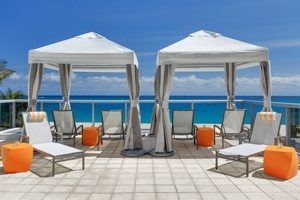 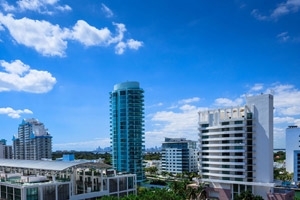 Boasting a fantastic beachfront location on Collins Avenue, the Hilton Cabana Miami Beach serves as a great hub from which travellers the world over can enjoy the sights, sounds and unmistakable vibrancy of one of Florida’s most prominent cities with ease. 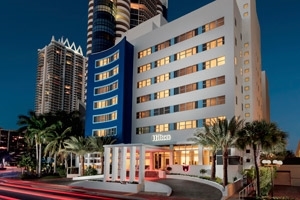 Located on what is known as “Millionaire’s Row” only minutes from glorious South Beach, the hotel presents a great opportunity for the avid explorer to venture out and discover what makes Miami such a touristic hotspot, with such local landmarks as Lincoln Road, Ocean Drive, the Aventura Mall, Bal Harbour and the Design District just waiting to be found, while the hotel with its combination of Cabana style design and beach property entices even the most discerning of travellers, and with 231 lavishly designed accommodation to choose from there is definitely something for everyone at this Miami haven. 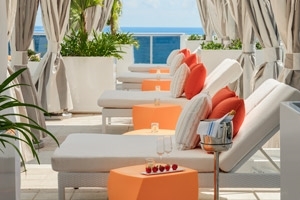 Nestled along Collins Avenue which is known as “Millionaire’s Row” in between South and North Beach, the Hilton Cabana Miami Beach invites travellers the world over to indulge in the sights and sounds of one of Florida’s most renowned cities while enjoying a world of comfort and style that looks straight out onto the magnificent beachfront. 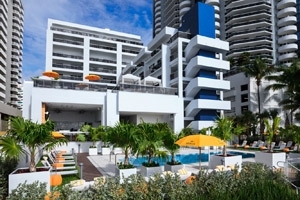 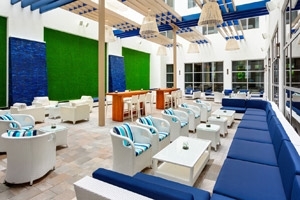 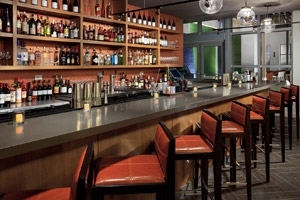 Serving as a great place for both relaxation and exploration, the hotel’s attentive level of service and Cabana style design makes it a cool oasis of modern comfort, while the proximity to such local landmarks as Lincoln Road, Ocean Drive, the Aventura Mall, Bal Harbour and the Design District entices guests to uncover the wonders of the city. 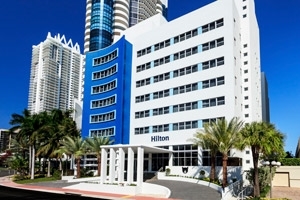 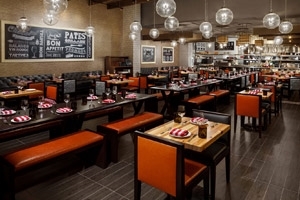 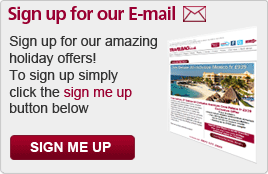 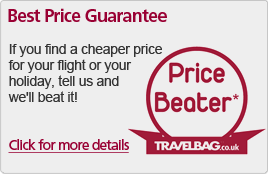 Boasting numerous facilities and 231 elegantly fitted accommodations, this hotel is a great choice when considering a beach oriented Miami vacation. 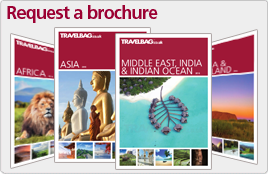 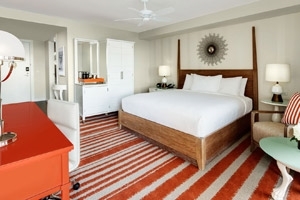 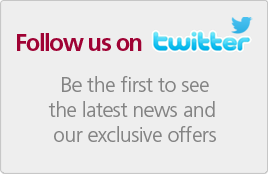 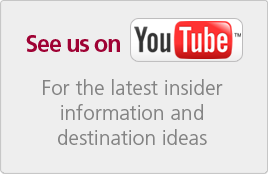 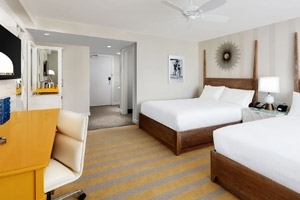 The Standard Guestroom offers guests a stylish accommodation elegantly fitted with plush comforts and modern amenities. 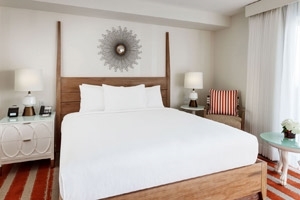 The Deluxe Guestroom offers guests a lavish accommodation beautifully designed with contemporary decor and accompanied by plush commodities and quality amenities throughout. 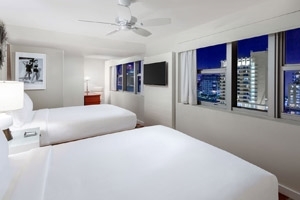 The room features a private balcony that faces out over the surrounding neighbourhood. 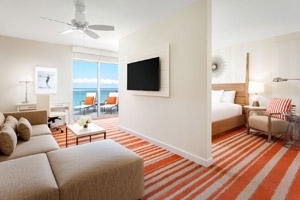 The Ocean View Guestroom offers guests a comfortable accommodation styled with the utmost care and consideration to ensure a memorable stay. 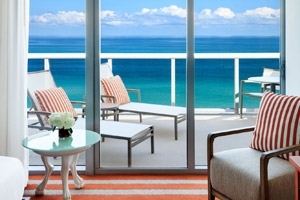 The room features a private balcony that showcases partial ocean views. 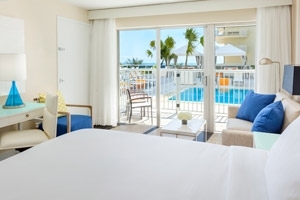 The Oceanfront Guestroom offers guests a fantastic accommodation fully fitted with modern amenities and lavish furnishings all set in a spacious haven of modern elegance. 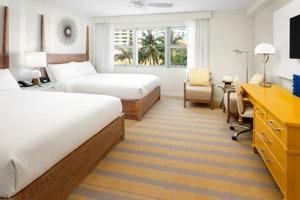 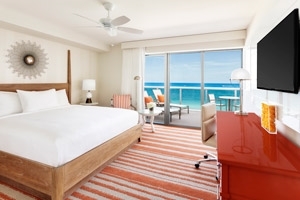 The room features a private balcony that showcases amazing views of Miami Beach and hotel pool. 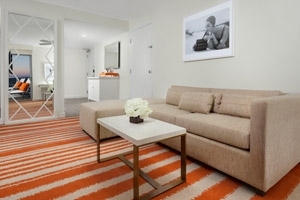 The One Bedroom Suite offers guests a palatial accommodation designed to impress with its sense of elegance and modern comfort that helps ease travellers back into a state of sheer bliss. 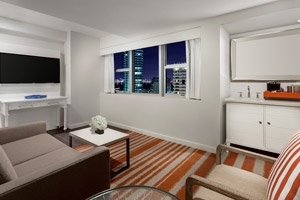 The suite features an additional living area as well as a private balcony that boasts of views of the city’s Intracoastal Waterway. 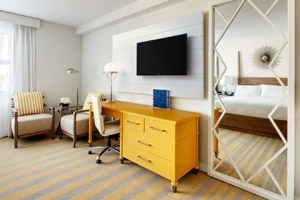 The Junior Suite offers guests a stunning accommodation elegantly decorated with modern tones and elements that accompany and enhance the plush furnishings and quality amenities throughout. 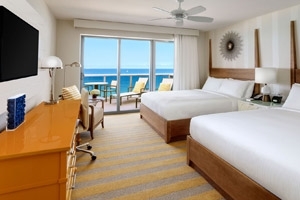 The suite features an additional parlour and a private balcony that showcases beautiful views of the ocean front. 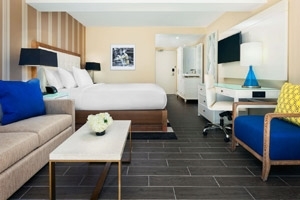 The Accessible Guestroom offers guests a conveniently designed accommodation fitted with plenty of easily accessible commodities such as grab rails, roll-in showers and lowered amenities. 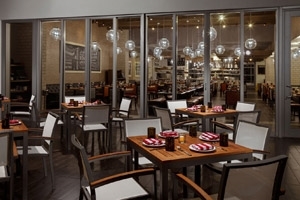 L’echon Brasserie – Enjoy some world class dining at this elegant eatery where modern French delicacies are served for breakfast, lunch and dinner.